Here’s what every single open letter to New Zealand abortion providers sounds like to me. The Infanticide Law Reform Association of New Zealand (ILRANZ) would like to thank you for all the amazing work you do, often unseen and unacknowledged. While we do not write this type of letter nearly as often as we should, those of us who pursue a pro-death agenda admire and respect the enormous role you play in ensuring and enabling access to baby killing services. We know that providing these services is all too frequently done at a cost to your own safety and wellbeing. We honour your bravery; bearing the brunt of pro-life rebukes, threats and attempts to expose clinic/medical providers as villains. ILRANZ and pro-death supporters know better. We know that in an ideal world, one we strive to attain, that what you do should be understood as a basic health service. That killing babies should be one part of a wider sexual and reproductive health strategy that enables access free of charge and without barriers to those who need it; without judgement, without recrimination, and without fearing for one’s safety. There would be no stigma and no shame because baby killing would be conceptualised as a basic human right and an integrated health service. That’s enough of that. The cold hard fact of the matter is that the above adaptation is exactly how the original letter sounds to many. (It didn’t always sound that way to me.) Anyone interested can read more at the link above. What I’d like to do now is present an argument against abortion. It’s called the Argument from Caution. Now I don’t know what theory of human rights the author of the original open letter subscribes to (or even if she has one) or when she thinks human life begins. I subscribe to a Jeffersonian theory of human rights, and I think that human life begins at conception. But, for the sake or argument, it matters not whether my theory of human rights, or view about when life begins, or hers, are true. That’s the whole point of the Argument from Caution. Caution mandates that we assume that human life begins at conception and that an unborn child has an unalienable right to life from that point onwards. See also Saturn’s Children. Libertarianism and Abortion. See also Butchered at birth. POSTSCRIPT. Please don’t confuse evincing a quite staggering degree of hypocrisy with exercising a prerogative to change one’s mind. Do as I say, not as I have done. Previous PostSons of Anarchy! Blog hard…. Live Free.Next PostHeart Ripped out. This ones for all the Dying Dads … and the Survivors. While it might be difficult to determine when human life actually begins, the safest bet is to assume it is, unless you can actually prove otherwise. It’s much like being innocent until proven guilty beyond reasonable doubt. Caution mandates that we assume that human life begins at conception and that an unborn child has an unalienable right to life from that point onwards! Hmm… I’m not able to comment at mandm.org.nz anymore. Matt – if you read this can you allow me to comment on your site please. 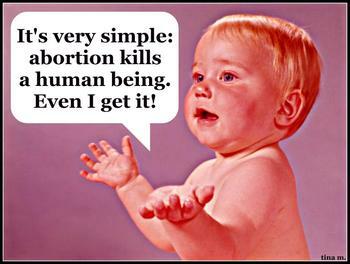 Human life may begin at conception but there has to be some pragmatism. What are my miscarriages? Manslaughter if a cause is found to be something I did. How much work should go into the 1 in 4 pregnancies that end in miscarriage. Pregnancy is a potentially life threatening condition and often leads to life-long serious health conditions. I personally know women who got asthma, diabetes, celiac, lupus, broken tailbone, psychosis, depression, liver disease, and breast cancer (and yes that pregnancy was terminated to stop the hormones increasing the growth rate and probably saved this woman’s life) from their pregnancies. I respect your views Richard but really it’s not a decision you will ever personally be faced with so black and white pronouncements are easier for you. What are my miscarriages? Manslaughter if a cause is found to be something I did. If a doctor negligently prescribes something that causes a miscarriage is that not the same as manslaughter? Are women capable of culpability? If a person’s child dies and the cause is found to be something the parent did then the parent could be guilty of murder, manslaughter or it could just be an unfortunate accident.